Hudson Yards’ Retail Center Opens Today. What Should the World Expect? Free mochi and a live DJ, for starters. For years, Hudson Yards has been nothing more than an ugly construction site on the west side of New York City. But the day is upon us: the Shops & Restaurants at Hudson Yards open today. 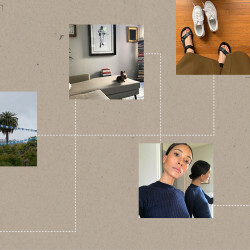 Cartier’s dropping a site-exclusive jewelry collection; Madewell’s giving out plants; Aritzia’s giving out flowers. H&M has lined up a live DJ and will offer “giveaways of up to $1,000” to the first 1,000 people to grace their store. Uniqlo’s distributing free mochi. In other words, opening weekend at Hudson Yards’ million-square-foot retail space will be a spectacle. But will it be worth visiting? Or will it cater mostly to out-of-towners? That remains to be seen. Though the seven-story retail conglomerate has lots of bells and whistles—for example, a “new-concept Zara” and the first Neiman Marcus and Forty Five Ten in New York City, as the New York Times reports—at its core, the Shops & Restaurants Hudson Yards is another mall. If you like malls, you’ll probably love this one. If you don’t, well—you probably won’t. 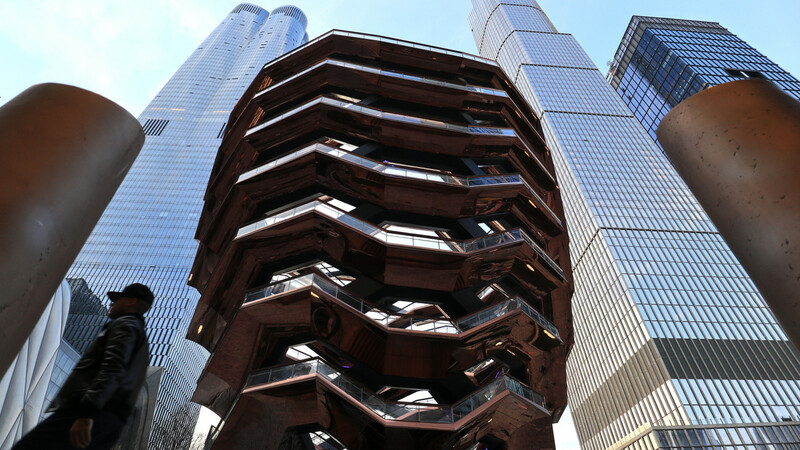 The Times pointed out that developers don’t like the term “mall”; they prefer euphemisms, such as “vertical retail.” Trouble is, the Shops & Restaurants at Hudson Yards has an astronomically unwieldy name and confusingly can’t really be shortened to just “Hudson Yards” because that refers to the development as a whole, which means, I suspect, it will come to be called “the Hudson Yards mall,” as much as developers may hope otherwise. Sorry, guys. Hudson Yards the neighborhood stretches across more than 28 acres, between 10th Avenue and 12th Avenue, and between 30th Street and 34th Street. It’s zoned all the way east to 8th Avenue and north at 42nd Street, so the area will continue to proliferate. For now, hulking commercial and residential spaces near the mall are in various states of assembly and production, including the Shed, a performance space opening April 5, and the gigantic honeycomb formerly known as the Vessel but now awaiting a real name, a 150-foot public structure featuring 154 interconnected flights of stairs and 80 landings, ostensibly designed with only one thing in mind: peak Instagram. The bricks are in place. The mortar has set. So now what? Apparently, New York Fashion Week may be moving to Hudson Yards as early as this September. The developers are expecting 60,000 visitors per day. But it’s unclear if New Yorkers who don’t already live in or near Hudson Yards will make the trek there more than perhaps once to see what the fuss is all about. If you do decide to check it out, NYC and the MTA have made it easy for you: With $6 billion in tax breaks and incentives, including the extension of the 7 train, city officials have all but rolled out the red carpet for Hudson Yards. Now it’s just a matter of time to see if city dwellers themselves will feel the same way.